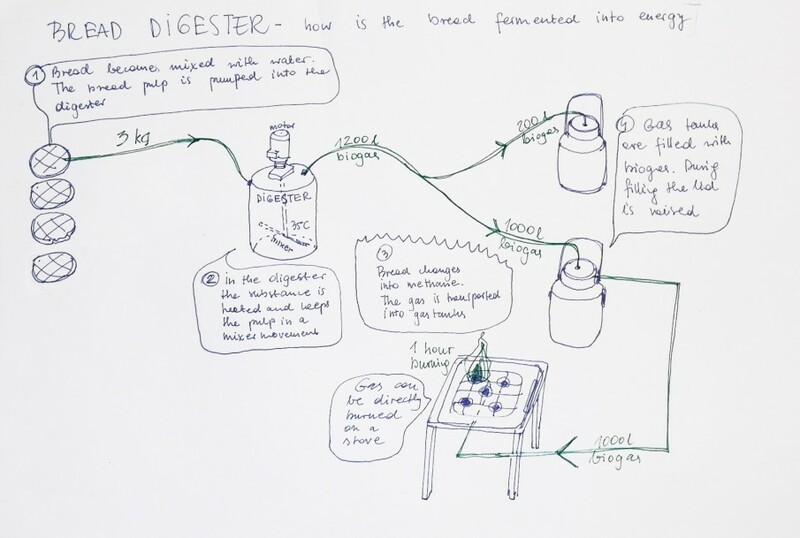 The designers collective Pink Pony Express makes energy from bread.Through a process of anaerobic digestion, bread is turned into biogas. In Islamic culture bread is holy, and may not be thrown away as waste in the garbage. Out of respect for grain, Muslims scattered their old bread on the street, to return it to the earth.Because this attracted rats, Stadsdeel West placed special bread containers in the Kolenkit to collect the bread. 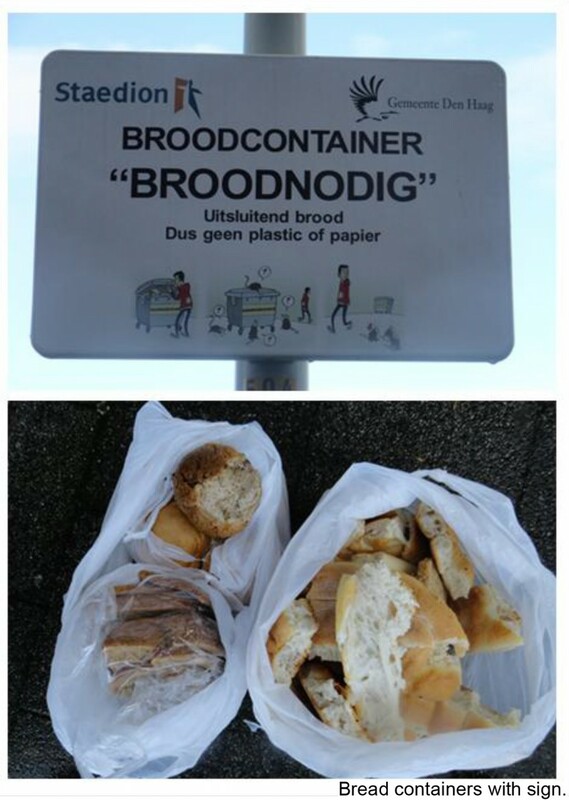 Bread from these containers still ends up in the city incinerator.Through a process of anaerobic digestion, here the same bread is turned into biogas. In the white vat, the digester, are bacteria and old bread. The blue vats store the biogas, and are connected to a stovetop where it is possible to cook.Bread has a high energy value. Organic material is converted to methane and carbon dioxide (“biogas”) and biomass sludge. One loaf of bread generates 300 liters of biogas. One stovetop burner set on high uses approximately 1m3 of gas (1000 liters of biogas) per hour. Bread is ground and mixed with water. The bread pulp is pumped into the digester. In the digester, the substance is heated and holds a mixer pulp in motion. Bacteria put bread into methane. The gas is transported through hoses to gas tanks. Gas can be burned directly on stove. The government of the Netherlands is also facing a problem of handling and reducing food waste. It is estimated that Dutch consumers throw away at least EUR 2,400 million worth of edible food per annum, that is 8%-11% of the food they buy (Ministry of Agriculture, Nature and Food Quality, 2010). 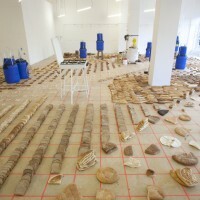 According to the report of Amsterdam West Dichtbij in April 2012, the Kolenkitbuurt, a neighbourhood in Amsterdam, was facing a rat plague caused by food waste in the residential area (Amsterdam West, 2012). Residents are used to throw their bread in the open space like streets, play field, square and it also attract animals. On the one hand, designers want to make people aware of current problems in residential districts by artistically installations in these areas. 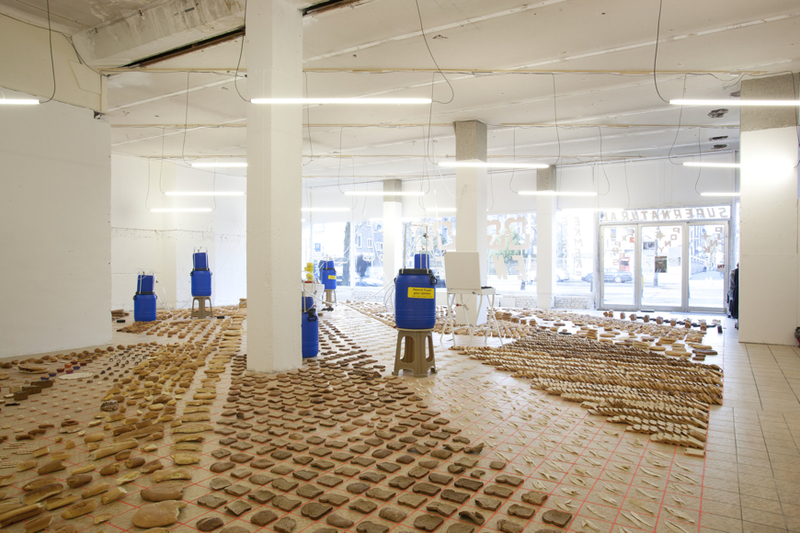 On the other hand, they want to help finding a suitable bread re-use method which fits to the Kolenkitbuurt and its residents as well as other similar neighbourhoods. Not all residents are willing to accept fermentation as an re-use method for the content of the container, because animal feeding is preferred by those residents, because they think the food needs to stay food due to their culture, religion and personal enjoyment. Therefore, when fermentation is considered as the solution for the bread waste issue, communication is the key for success. 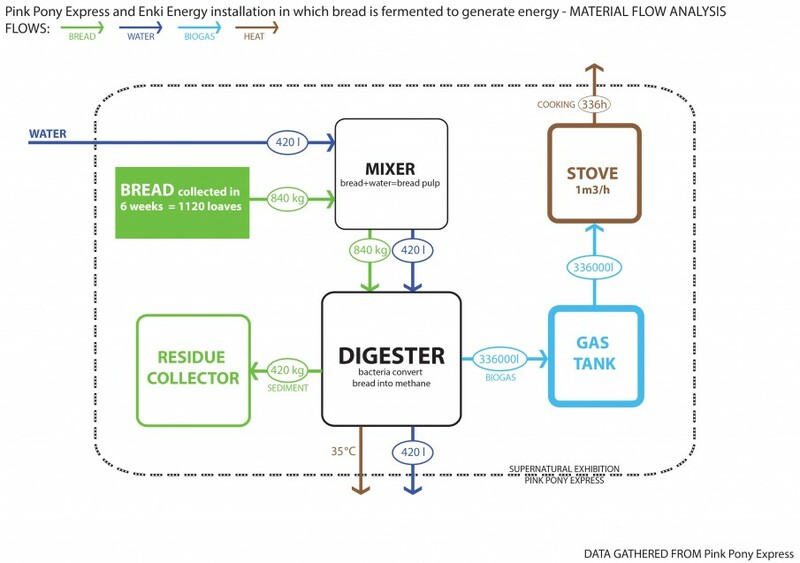 It is important to explain the fermentation process which results in energy, because involved residents want to know what is made out of their bread leftovers. To produce a specific amount of energy the fermentation machine needs a minimum amount of bread waste. The communication should be done in an easy way, for example by saying the bread leftovers are used for for baking new bread or making light in your home to make it more visual. In this way the cycle of using “leftovers” (food) for making food is closed and matches the needs of the culture and religion. 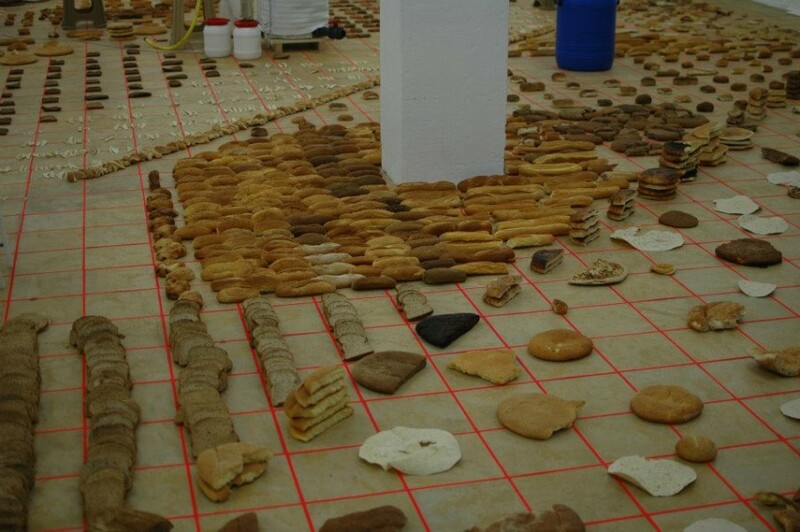 The spatial arrangement of the bread helps to understand the scale of a problem. 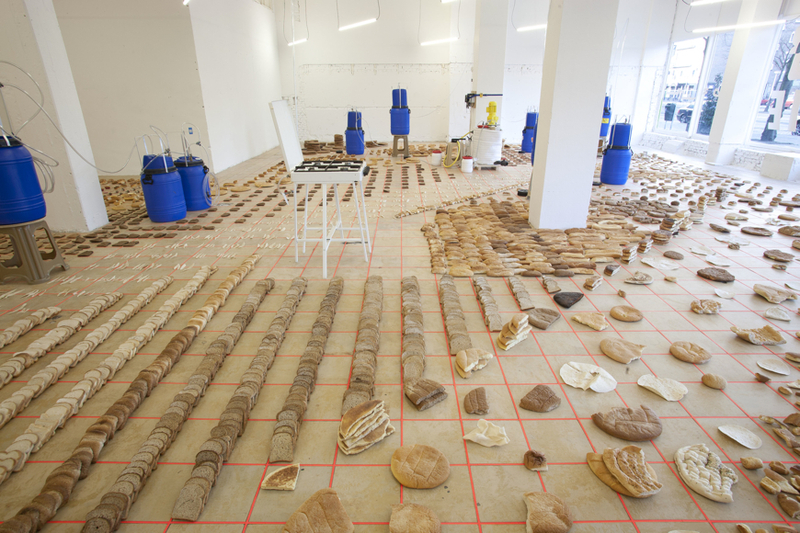 The future usage of the bread-digesting system in a household will change the organisation of a kitchen. 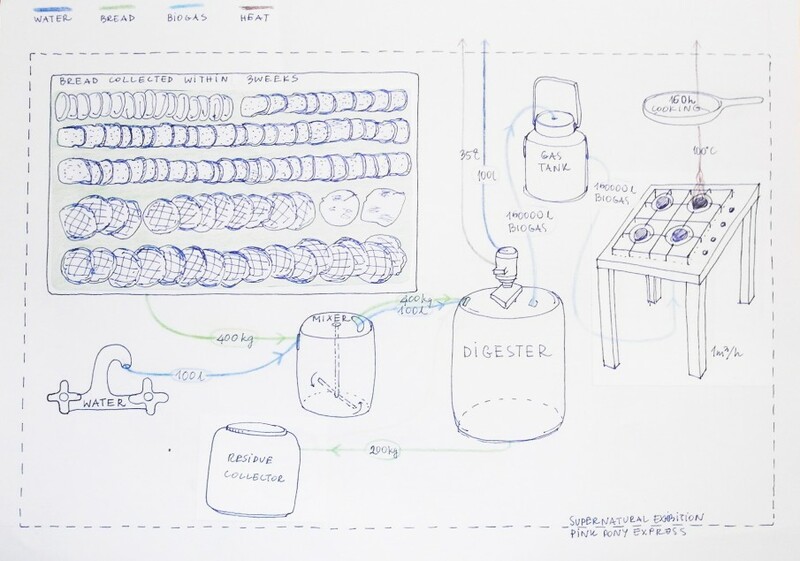 The process of making food is visualized as a chain of devices/steps of production in a loop. 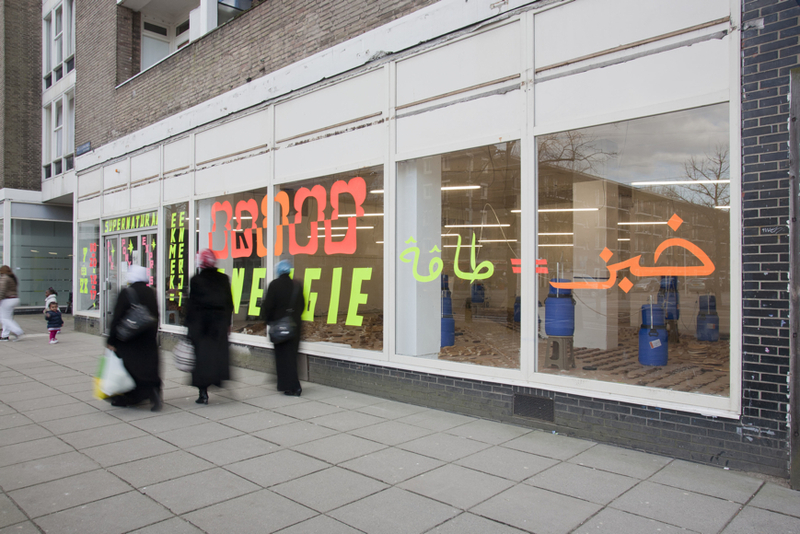 The social approach delivers insights into motives behind wasting bread, conception of bread re-use methods and the view of the municipalities as well as people living in the neighbourhood of the Kolenkitbuurt and two other residential districts. This information can serve as basic knowledge to consider different bread waste programmes and plans for the future in several Dutch residential districts. Furthermore the results of the social insights can help to increase the understanding of different bread waste behaviours in the studied neighbourhoods.